The Scot’s future at Old Trafford has become the subject of increasing speculation in recent weeks but his compatriot believes the criticism has been over the top. 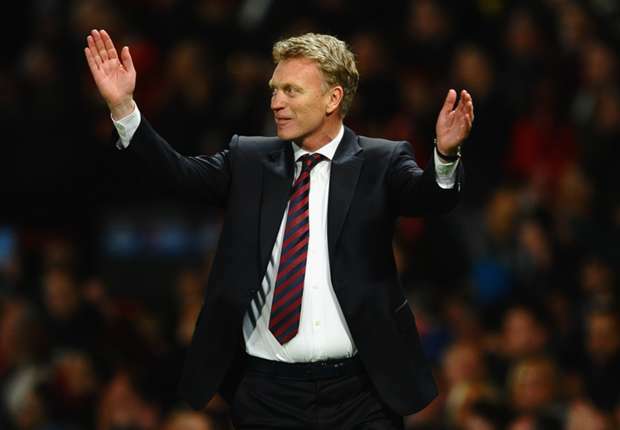 Beleaguered Manchester United boss David Moyes has been treated unfairly, according to Aston Villa counterpart Paul Lambert. Moyes has been the target of regular criticism after failing to live up to the lofty heights set by former United manager Sir Alex Ferguson. Ferguson led the Old Trafford outfit to 13 Premier League titles, five FA Cup crowns and two Champions League successes during a trophy-laden stint at the club that spanned more than 26 years. United may still be in the Champions League’s last eight – where they will meet Bayern Munich over two legs – but their domestic form has been poor, and they sit a disappointing seventh in the Premier League table after a 3-0 home loss to rivals Manchester City. Speaking ahead of Villa’s trip to Old Trafford on Saturday, Lambert expressed his belief that his fellow Scot had been hard done by, and criticised reports that the club’s fans will fly a plane with a derogatory Moyes banner over the ground during the match. “He is trying his best for Manchester United, the way I am for Aston Villa,” Lambert told reporters. “It comes with the territory. In the modern game, you are always one bad result away from being absolutely criticised. “In years gone by you probably would have got a lot of time, but now the success people want is instant. “But if you are talking about flying an aeroplane over the stadium with a message to say you are not wanted, it is a bit extreme. “I think some of the criticism is way over the top, I really do. “I think the magnitude of the job is huge. Only David can truly tell you about that, but from the outside looking in, it is a massive, massive job. “It is not as if he is standing out there and thinking ‘things are not going well, but I still feel good’.